And now, the time has come. We have our final four. They cover a wide variety of shows, the mystery island drama, the alien thriller, the space opera and the superhero show. 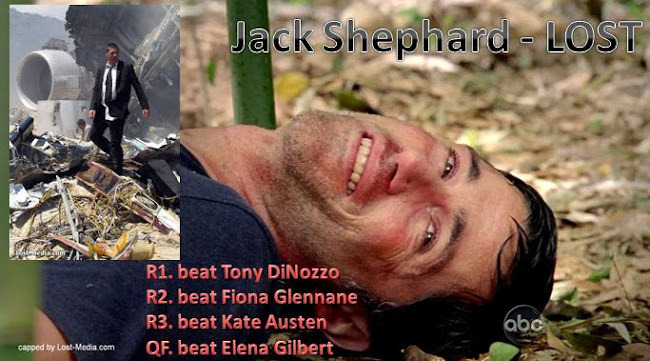 Which will make the final, and take the 2010 Character Competition. As Gandalf once said, the board is set; the pieces are moving. 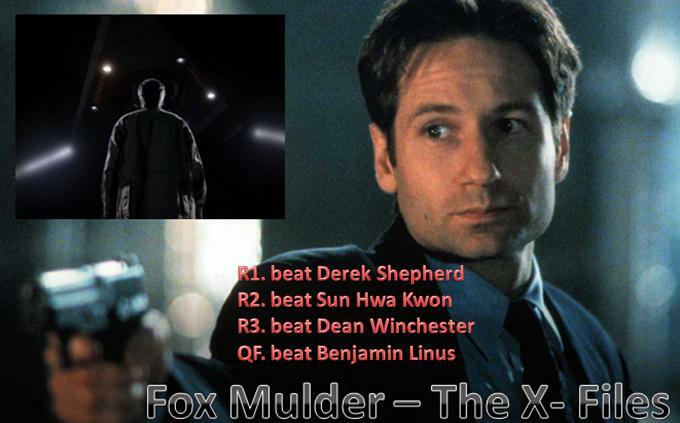 Today we have Fox Mulder of 'The X-Files' facing off against 'LOST's' Jack Shephard. Both are the male leads of the cultural phenomenon of the 90's and the 00's. There can be only one winner. Major Nominations: 3 Golden Globes, 2 Emmys. Shows with Characters remaining: Bold into Final. Thanks for voting and commenting, and spread the word folks. Tomorrow sees the second Semi-Final between Clark Kent and River Tam for a place in Wednesdays final.